Non Profit Marketing – the ajayi effect. It was just a few years ago that most non-profit professionals had to fight for the right to use social media as part of their marketing strategies. Now, they can seem to get their Executive Directors out of the mix. First there was Facebook, then Twitter, Youtube, Flicr and the like. These days, more and more attention is being paid to the use of images to inspire, tell a story and raise brand awareness and dollars. Like any other social media channel, use of Pinterest, a pinboard-style photo-sharing website that allows users to create and manage theme-based image collections such as events, interests, and hobbies, requires a roadmap. 1. Create Pinterest boards that speak to the causes you promote. For example, the Humane Society might wish to create a board called Save a Dog, or, Report Animal Abuse. The car donation charity, Kars For Kids, may wish to create a board called Green Benefits of Car Donation, or, After School Programs for Latchkey Kids. 2. Follow other nonprofit users. By following other nonprofits, you may get new creative and inspiring ideas for how you might use Pinterest for your own nonprofit. It can also be beneficial for a target audience to see which nonprofits you follow. 3. Engage your followers by following them back. You can choose “follow all” on the person’s profile and then “unfollow” any boards that are, well, boring. 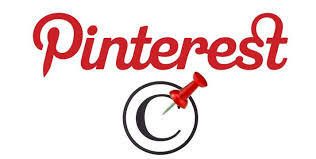 You can also engage other Pinterest users by “liking” or “repinning” those pins that speak to you. 4. Highlight a specific project by creating a pinboard just for that purpose. In this way, you can document current work projects. Edit the board so that other people involved in the project can pin items, too. If your organization is engaged in building housing for the homeless, you can pin photos of the builders, the building site, the various tools used, and daily progress on the building. This helps your audience feel involved with you and your project, every step of the way.